Clean One Owner. The 2016 Dodge Grand Caravan has one of the most powerful engines among minivans, and its available Stow 'n Go seats are exceptionally useful. With an average price tag of $17,300, the 2016 Grand Caravan is one of the least expensive minivans you can buy. This is based on almost 2,800 listings for the vehicle on our used car site. Depending on the trim level, prices range from $14,500 to $20,600. Each vehicle’s condition and mileage, as well as your ZIP code, can impact the price of a used Grand Caravan. The 2016 Dodge Grand Caravan comes in six trims: American Value Package, SE, SE Plus, SXT, SXT Plus, and R/T. The American Value Package comes with just a few standard features, including a four-speaker stereo and keyless entry. The Grand Caravan SE comes with tri-zone manual temperature control, second- and third-row Stow 'n Go seats that fold into the floor, and the ability to reverse the third-row seats for tailgating. The SE Plus adds premium cloth bucket seats, power third-row windows, satellite radio, and Bluetooth phone and audio streaming. The Grand Caravan SXT has cloth bucket seats and dual power-sliding rear doors. The SXT Plus includes leather upholstery and a power-adjustable driver’s seat. 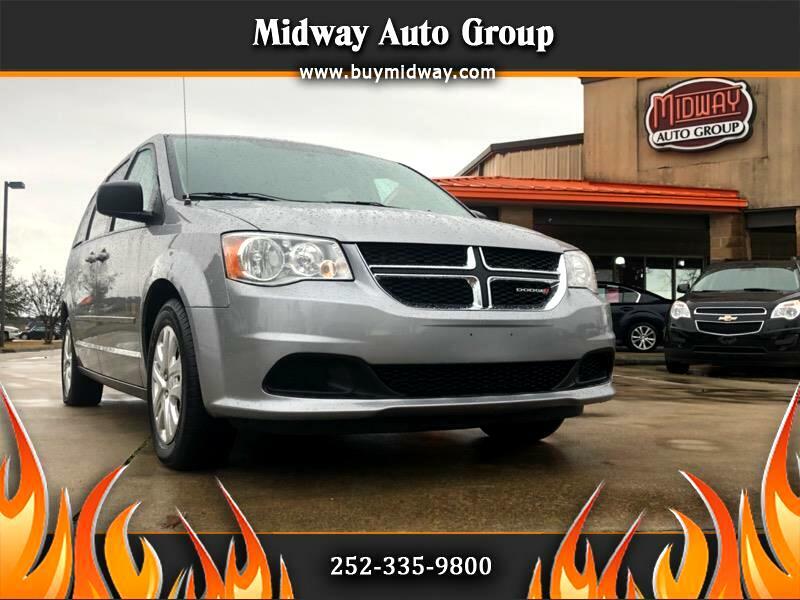 The Grand Caravan R/T (the top trim) comes with remote start, leather-trimmed bucket seats, power-adjustable front seats, an auxiliary power outlet, tri-zone automatic climate control, a 6.5-inch touch screen, a nine-speaker stereo, and a rearview camera. Out of these trim levels, the Dodge Grand Caravan SXT Plus is the best choice for its mix of practical standard features, including standard power-sliding rear doors and power-adjustable front seats. The National Highway Traffic Safety Administration gave the 2016 Grand Caravan four out of five stars for overall safety. The Grand Caravan earned four stars in the frontal and rollover crash tests and five stars in the side crash test. The Insurance Institute for Highway Safety gave the Grand Caravan the top score of Good in all crash tests except the small overlap front test, in which the minivan received the lowest rating of Poor. The base Dodge Caravan lacks the standard active safety equipment found in other minivans. Parking sensors, a rearview camera, blind spot monitoring, and rear cross traffic alert are available in higher trims. The 2016 Dodge Grand Caravan has one powertrain: a 283-horsepower V6 engine that generates good power and acceleration. A six-speed automatic transmission is standard. The 2016 Grand Caravan seats seven in three rows and comes standard with cloth upholstery. The third-row seats can flip backward to make tailgate seats in the hatch. Leather upholstery, a power-adjustable driver’s seat, heated first- and second-row seats, second- and third-row Stow 'n Go seating, a heated steering wheel, and dual power-sliding doors are available. The 2016 Grand Caravan’s standard features include a four-speaker audio system and an auxiliary audio input. That's pretty sparse in comparison to some rivals. Features like tri-zone automatic climate control, a 6.5-inch touch-screen infotainment system, navigation, a nine-speaker audio system, satellite radio, Bluetooth, and a dual-screen rear-seat entertainment system are available.